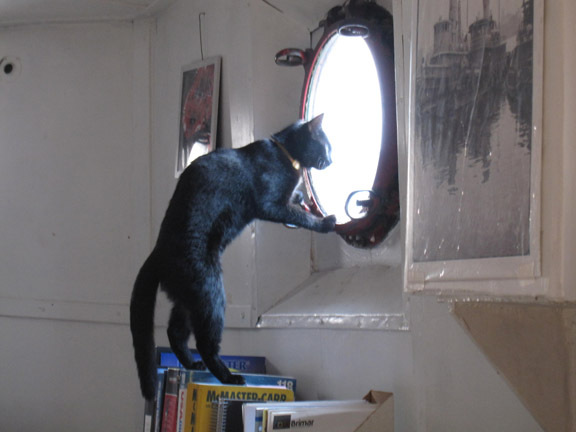 Hi, I’m PortSide’s ship cat, Chiclet. Listen up. I have experience with this resiliency thing, and my celebrity status can help get the word out. I was listed in Time Out Magazine’s top NYC mascots, you know. I am here to help PortSide explain how to prepare for these flood things. Check out this key guide. I know a thing or two about the water. I was born on the Rockaways next to a house that sits on stilts over the water, and I rode out two hurricanes on the ship MARY A. WHALEN, Irene and Sandy. I live on ship. I get it. I’m worried how people can’t tell when one of these floods is about to happen. I’ve been listening to my people at PortSide talk, and I know they are worried and working on this thing. We animals know. Ever notice how the birds go quiet and all disappear before a hurricane? 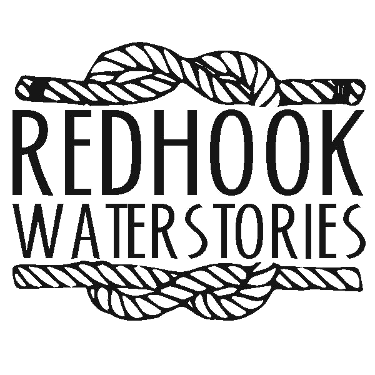 I’ve been sleeping on it, you know we cats do know how to sleep, and that’s when I came up with this idea to write something to Red Hook people. Please read the resiliency essay and look at the illustrations and maps about the buried creeks and shoreline changes in Red Hook. Understanding those stories helps explain a lot of flooding when it rains. Plus, it’s interesting. And please get involved. Red Hook is safer and more resilient if you people swing together. There's lots of resiliency work going on. There is the IFPS (Integrated Flood Protection System) to figure out how to keep the water out. There is Ready Red Hook to help you know what to do for the 72 hours before, during and after a major emergency. Red Hook Check-in is being developed to create a kind of buddy system to look in on seniors and vulnerable folks during emergencies. The NY Rising Committee created a resiliency plan with NYS funding. Here’s the mini version, here’s the maxi version.